Birth to 6 months: Since the vision of an infant is still developing during these early months, it helps to choose books with little or no text and big, high-contrast pictures. Books that have interactive elements like textures, fabrics, mirrors, peepholes, popups and other inserts can also help babies learn as well as stimulate their still-developing brains. For parents, even choosing to read a brightly printed magazine on glossy paper can make for good baby-reading time – since the words are not yet important at this stage, kids can still learn by looking and they can still benefit from simply spending time with you and hearing the tone of your voice. 7 to 12 months: Before they are a full year old, children begin to grasp language and may already have a very basic vocabulary. Even if they aren’t speaking yet, they likely have an understanding of some basic words. In this vein, picking books that are about just one object or person per age are best; hearing you name something your baby recognizes reinforces their vocabulary and helps them realize that the words are linked to the illustrations, so make sure to point to the right pictures at the right times! Acting out what you read with your face, hands, and voice can help, too. Let your baby babble back to you in response. Doctors suggest that this “conversation” can help them learn to take turns and teaches them about focusing on the same thing as someone else while also boosting communication skills. For both ages under the one-year mark, you may want to stick to baby baby board books or fabric books, something that can withstand your child playing with them – and this sort of behavior should be encouraged at this stage. Kids learn by feeling, and sometimes tasting, so when they are very young they will explore new objects by physically touching them or even trying to gnaw on them to get an idea for what they are and how they feel. 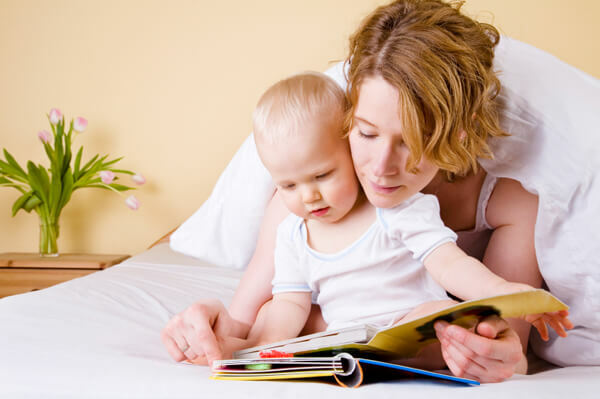 13 to 18 months: As kids get older, you can begin introducing books with more than one sentence per page. Also, acting out the story and really getting into the dialogue can be extra effective around this age. When reading animal noises, be sure to imitate their sounds. When your child begins to mimic you, they will also be learning. After a while, ask them what sounds the animals make and so on. Ask them where the animals/subjects are in the illustrations. 15 to 18 months: Your baby may be able to answer questions with a word, so give them the opportunity to identify images they know by asking, “What’s that?” If they respond, you can try adding adjectives, sounds, colors, or other things you can use to describe the image and further boost their vocabulary. 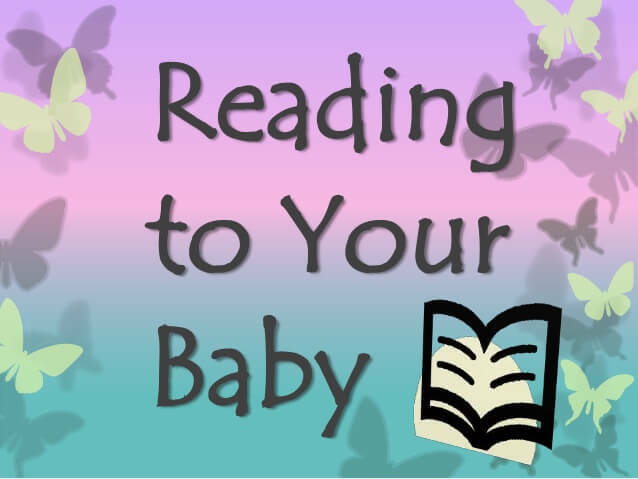 19 to 24 months: At this age, many toddlers find the familiar routine of reading as reassuring and calming, and they may find a similar comfort when it comes to the same familiar books as well. Around 18 months, children may begin to ask for the same book over and over and over. This can help kids develop a love of reading, but as they become more and more familiar with the same book it also allows them to learn new words on top of the ones they have already memorized.